Access is unlimited, the width is a greater dimension than the sides and it's not over 5 feet in depth. "...OSHA defines an excavation as any man-made cut, cavity, trench, or depression in the earth's surface formed by earth removal. This can include excavations for anything from cellars to highways. A trench is defined as a narrow underground excavation that is deeper than it is wide, and no wider than 15 feet (4.5 meters)...."
The competent person has always been my favorite. To become competent can't be taught or officially designated. 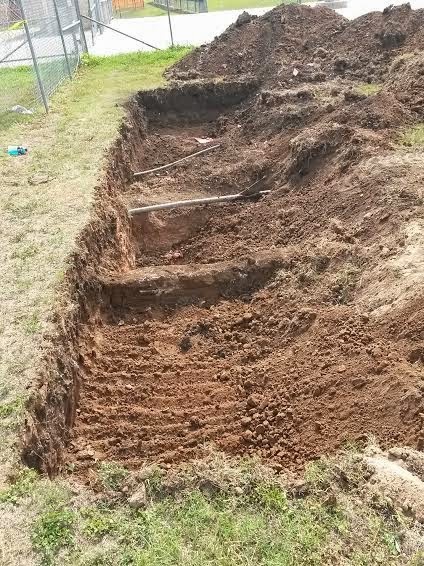 It takes years of experience and the few that have this experience can look at a trench, access the condition and tell you if it's safe or not within seconds. It is not a trench because there are no firing platforms, bomb-proofs or barbed wire.